A new bill published yesterday will ensure that unspent allowances from TDs and Senators are repaid for the first time. 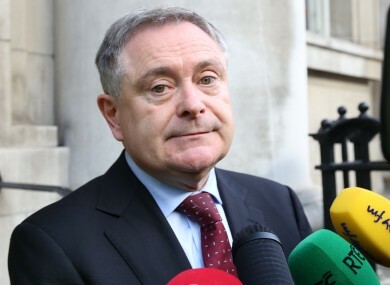 TDS AND SENATORS who lose their seats at general or by-elections could in future face court action if they do not return unspent allowances under the terms a new bill published yesterday. The government yesterday published legislation to cut the party leaders’ allowance paid to political parties as well as independent TDs and Senators by 10 per cent and improve the reporting and auditing of how the money is spent. One of the provisions of the Oireachtas Ministerial and Parliamentary Offices Amendment Bill is that if an independent TD or Senator is not re-elected they will have to repay any money unspent from the allowance within four months of the end of the financial year in which the allowance was paid. If the money is not repaid within the stated time frame then the Oireachtas may pursue ousted TDs and Senators through the courts to collect the debt owed. The same will also apply to political parties whose parliamentary leader will be required to repay unspent allowances within the 120 day timeframe or face legal action. The 12-year-old legislation that this bill amends does not contain any provision for repayment of unspent allowances. The new regime is likely to mean closer scrutiny of what TDs and Senators use the allowance for. TDs and Senators currently receive €41,152 and €23,383 respectively but under the new regime this will be reduced to around €37,000 and €20,000 respectively with parliamentarians required to outline how they spend the money. The new bill published yesterday gives the Standards in Public Office Commission more oversight over the allowance, which will now be known Parliamentary Activities Allowance under the new law. Under the current and proposed legislation the allowance can be spent on “expenses arising from parliamentary activities” including research, polling, hiring new staff, research and training, and entertainment. Email “TDs and Senators who lose their seats could face court action over unspent allowances”. Feedback on “TDs and Senators who lose their seats could face court action over unspent allowances”.